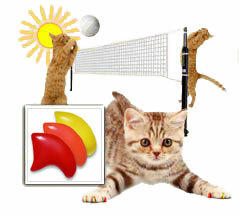 Cats adore stretching out in the sun for a warm nap. 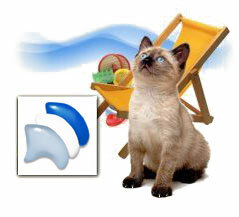 Our Summer Heat nail cap combo is the perfect accessory for some languid summertime lounging. 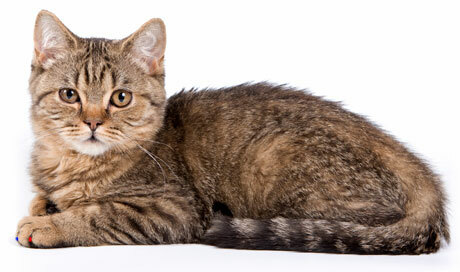 Is your cat vibrant and fun-loving? If so, our Firecracker Combo is for you! 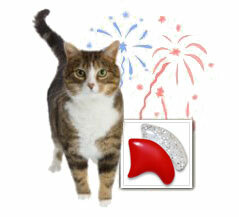 You'll both be feeling festive when your feline pal struts around in these sparkly silver and red nail caps. 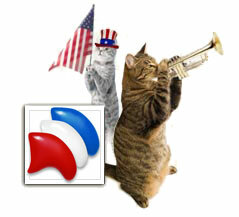 Your cat may not want to join in on the barbecues or fireworks displays, but he or she can still participate in the 4th of July fun with these celebratory red, white, and blue nail caps. 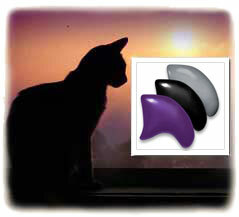 Cats love to be mysterious, and this nail cap combo will suit any summer-loving feline just perfectly. 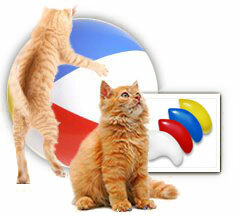 While sporting our Beach Ball Combo nail caps, your cat can dream about chasing and batting at colorful balls all day long. Cats and water don't always mix, but these lovely nail caps allow them to go together like bees and honey.